Whenever I have time I volunteer for a charity called Hope for Romanian Strays which was set up by my friend Aniela Ghita in Romania. I mainly help with the blog and raising awareness and funds through social media. 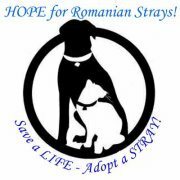 Hope for Romanian Strays is a small charity set up by volunteers in 2012, helping the many stray dogs and cats on the streets in Romania. The charity started life on Facebook, where volonteers would post about dogs and cats in need of help or adoption. The goal of the charity is to help strays in Romania – getting them neutered, paying for vet care, finding them foster homes or shelter and eventually new adoptive homes globally. There are already many success stories, including Emily a paralysed dog, who thanks to the Facebook community was found a new home in the UK and funds gathered over Facebook paid for her travel costs to her new forever home. Whenever animals are rescued from the street they are given medical attention by local vets and are also spayed (if we have funds). The charity is also working with the local community to educate people about the importance of getting dogs and cats spayed to try to reduce the number of unwanted animals ending up on the streets or being abused. 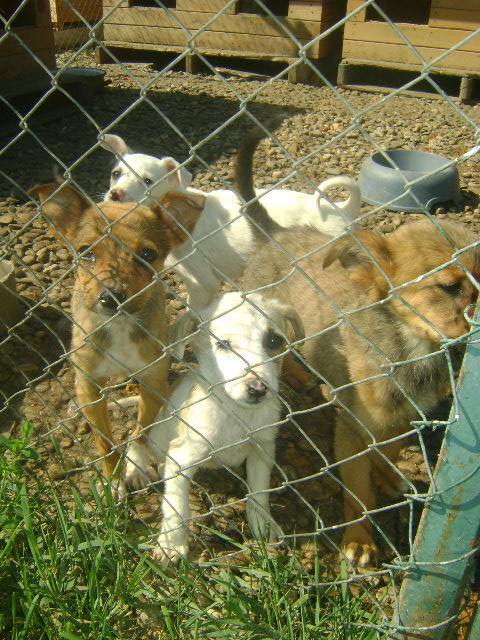 The sad reality is also that the “shelters” in Romania are far from what we think of as animal rescue shelters and the conditions for the dogs are fairly bad and the majority are not neutered. Until we got involved the death rate for puppies in the shelter was 90%, as puppies would die from diseases they were exposed to from the other shelter dogs or would be attacked and killed by the adult dogs. We have now worked with the shelter to build a seperate puppy enclosure to increase the survival rates and to ensure puppies get the care they need. This initiative alone cost $1200 which was all raised through donations.